Kalank's new song 'Aira Gaira' sees Kriti Sanon, Varun Dhawan and Aditya Roy Kapur come together for a peppy, quirky number. Composed by Pritam, the song has been sung by Antara Mitra, Javed Ali and Tushar Joshi. Sanon looks gorgeous in a plush navy blue lehenga while Varun sports a bright green kurta. Aditya, meanwhile, goes in for a more subtle black kurta, which may be in tandem with their character arcs as shown in the trailer so far. Shot amidst a busy market area of sorts, the song is sung through Kriti's perspective as her character complains of her lover. Remo D'Souza belts out yet another successful dance routine, deftly picturising Kriti as the sensuous seductress. The actors look like a dream in Manish Malhotra, Maxima Basu Golani and Ajay Kmr's designed ensembles. 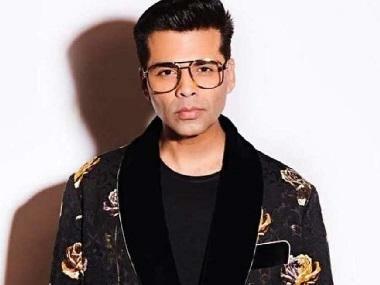 Also featuring Alia Bhatt, Sonakshi Sinha, Madhuri Dixit Nene and Sanjay Dutt, Kalank has been helmed by Abhishek Varman. The narrative, set in 1940s India, depicts the intertwining love stories of these four characters. 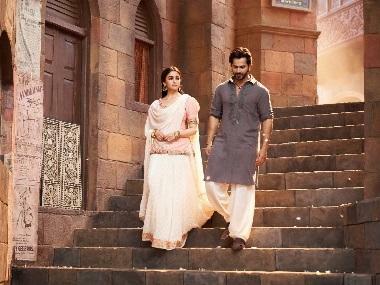 Kalank releases in theatres on 17 April.